Get a live feed of what people are saying around you using your phone's GPS. Upvote what's good and downvote what's not. Sort posts by what's new and what's hot. No profile, no password, it's all anonymous. 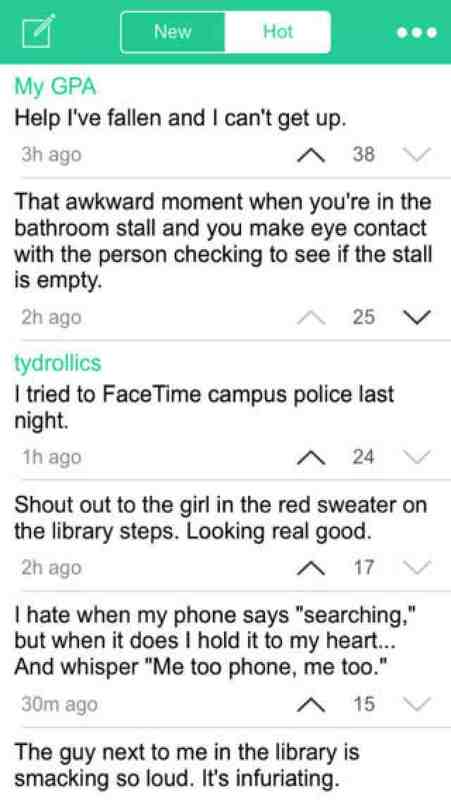 Yik Yak allows you to broadcast what ever you are thinking or want to say to the two hundred closest people to you.